Yes, another Amitav Ghosh novel. This time he takes me to the Bay of Bengal. Piya, an American marine biologist of Indian descent is travelling to the islands in the Sunderbans to study dolphins in the area. She runs into Kanai, a linguist who is going to visit his aunt in the area. Their lives intertwine in Canning, a place whose name and existence has its own story. However, they go on their separate ways (for a while). Kanai explores the past of this place through his dead uncle’s notebook left to him while Piya explores the present as she is on her trail to track the dolphins. 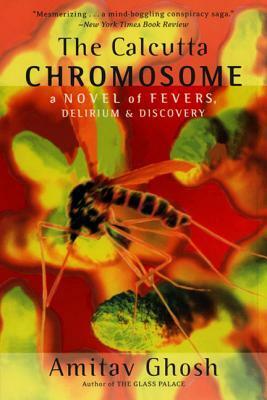 This book has won several awards but I wish I could say it is as good as The Ibis Trilogy books, but it is not. But it is always nice to read about places I have never been to and delve into the lives of the people there through Amitav’s books. 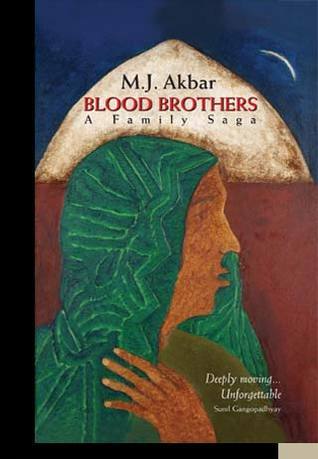 This is the first MJ Akbar book I have read. He is a noted journalist who has written for several media houses and written several books as well and was also the official spokesperson for the Rajiv Gandhi government. This book is one of the few fiction books he has written and is set in Telinipara, a small town near Kolkata. It is an autobiographical account of the author starting from his grandfather, Prayaag who arrives in Telinipara as a child and is adopted by a Muslim family and is named Rahmatullah and tells the story till the author turns 17. The jute mill, which was driving the economy of the town made Rahmatullah prosperous as he owned a tea stall opposite the mill. With money came social standing as the British left, he migrated to East Pakistan with his family, was brought back by his son and saw old age and his family grow to become a grandfather. The book’s underlying theme explores the Hindu-Muslim relations from the period when the British ruled India till the 1971 creation of Bangladesh. The book moves along at a quick pace and sometimes I felt that it skipped some important periods. However, this could also be because I have read some books which have explored this period at a deeper level. It is a book good in patches but it feels like something is missing. Tired of the books based in India and by Indian authors mostly, I decided I needed a break. The Narrow Road To The Deep North was exactly what I needed. This novel places us among the Australian POWs captured by the Japanese during WWII and made to work at the Burma Railway. This railway also goes by the name of the Death Railway as it was built by forced labor with over 180,000 Asian civilian laborers (of which around 90,000 died) and around 60,000 Allied POWs (around 12,600 died) used to build it. And there is your history lesson. The author’s father was one of the POWs who escaped alive and was the major inspiration behind the setting of the novel. However, this critically acclaimed and the 2014 Man-Booker prize winner novel is the story of Dorrigo Evans, an Australian doctor who was also a POW in the Burma Railway. The book oscillates between Australia and Burma as we see Dorrigo’s love story unfold. He is about to be married to a woman until he falls in love with another woman who turns out to be his uncle’s second wife. The book left me with a sad feeling and made me want to be alone for a while after I used to read it. The book also explores other characters beyond Dorrigo and many of them leave an imprint on the story. These were either the other Australian POWs, or the women in Dorrigo’s life or the Japanese and Korean guards at the camp. I loved the book and it left a very profound impact on me, but it is also a very sad one too and I don’t think everyone will enjoy it. I could instantly relate to the words and the language used in the book. His love story reminded me of mine and his disinterest in the world after coming back from the war reminded me of the times I have felt the same. 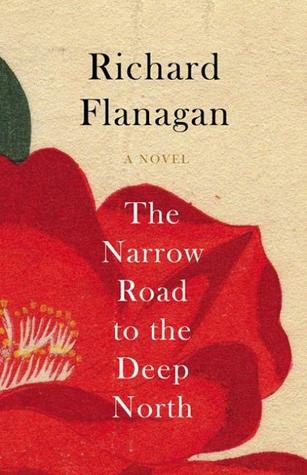 In fact, I do not want to read another Richard Flanagan novel simply because I want to remember him for this novel and not any others. Amitav Ghosh is one of my favorite authors and his books Sea of Poppies and River of Smoke are of the finest in the genre of historical fiction I have read. However, I was a little let-down by this book. It follows a computer programmer, Antar, who finds an ID of a long-lost colleague. He goes down a rabbit hole to find out the disappearance of that colleague and we are taken on a journey across New York to Secunderabad to Calcutta. The book is not engaging enough, the characters are not well-etched out and the timeline is plain confusing. 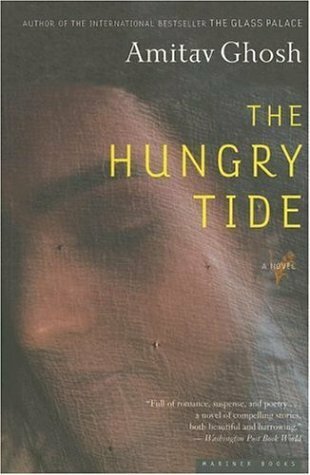 I had high expectations from Amitav Ghosh after the Ibis Trilogy. This book is avoidable, but I am still looking forward to reading other books by this author. I had never heard of this author and was a little doubtful about picking up this book. For lack of better options, I picked it up anyway. And I am glad I did. This is a good book. It is about two boys growing up in a chawl in Mumbai and how their family, friends, religion, education and everything else has an impact in their growing up years. There is no such plot but the childhood years of Ravan and Eddie are refreshing, entertaining, funny in bits and a good read. I will check out the second book in the series- The Extras too. A while ago the RSS head claimed that Mother Teresa had the motive of conversion behind her charity. An article on Scroll.in did not deny that. We may enjoy the Hindu bashing but sometimes it is wise to take a step back and be informed. This book is about the other side and how certain organizations are spreading Christianity in India, which is okay, but they are causing serious divides among the people. I am going to say this outright, this book is biased. It takes trivial points and magnifies it. But that does not mean it is wrong. It raises some serious questions and this issue has never been at the forefront in India. Take the case of foreign funding for some NGOs or the religious conversions in our country. Before we go and accuse the RSS or the current government about the stifling of liberal views, it is important that we are informed on both sides. But this book is too long and it gets boring. The points are repetitive. 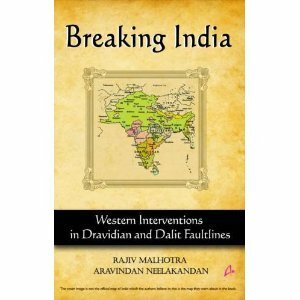 So instead of reading the book, you can just check out some videos of Rajiv Malhotra’s interviews to get the hang of it.